The Dropbox integration allows you to sync any files submitted through your forms to your Dropbox. These could be resumes, logos, proofs etc. 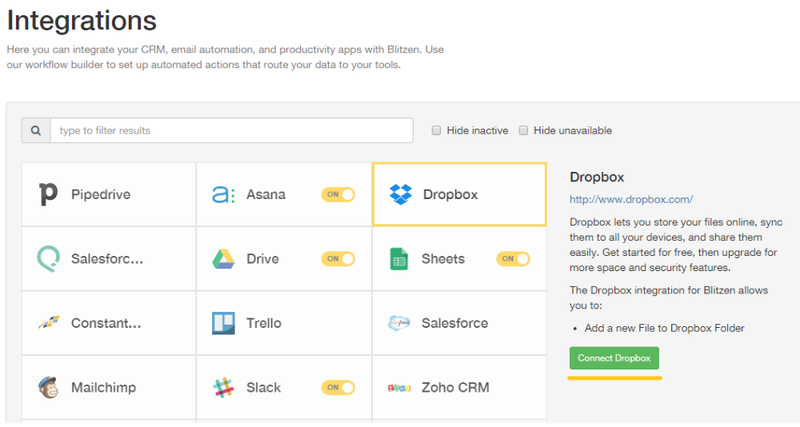 Note, to use this integration you first need to have a Dropbox account. Navigate to the ‘Integrations’ section in the left-side panel and click on the ‘Dropbox’ app. Choose an input (How to Choose an Input). The only type of form you can use the Dropbox app with is one that contains the ‘File Upload’ field. Drag the Dropbox App over into your workflow. You can configure the app by clicking the ‘+’ icon. 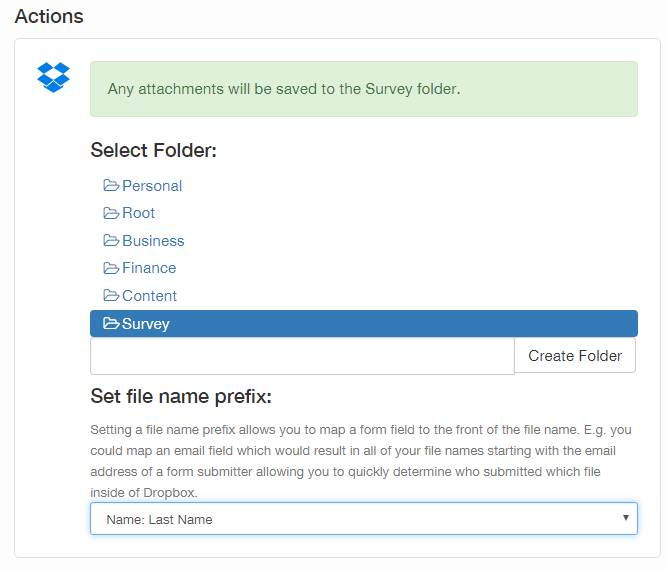 The default setting is to sync all submissions from the input form or survey. If that is what you wish to do skip the following section. You will be asked to select a folder you wish your files to be synced to. You will also get the opportunity to add a unique identifier to your files so that you can tell who the submissions came from. The best identifier is a name or an email, but you can use any field you would like. Use the drop-down to select the desired field. The changes will save automatically.